Timeless, refined and accomplished; the Capri Double Extension Tables and 8 Kensington Chairs is a superb set if you have a large extended family and love to host grand feasts! 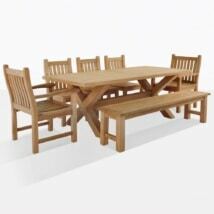 Create a classic setting perfect for long lunches and dignified dinners! 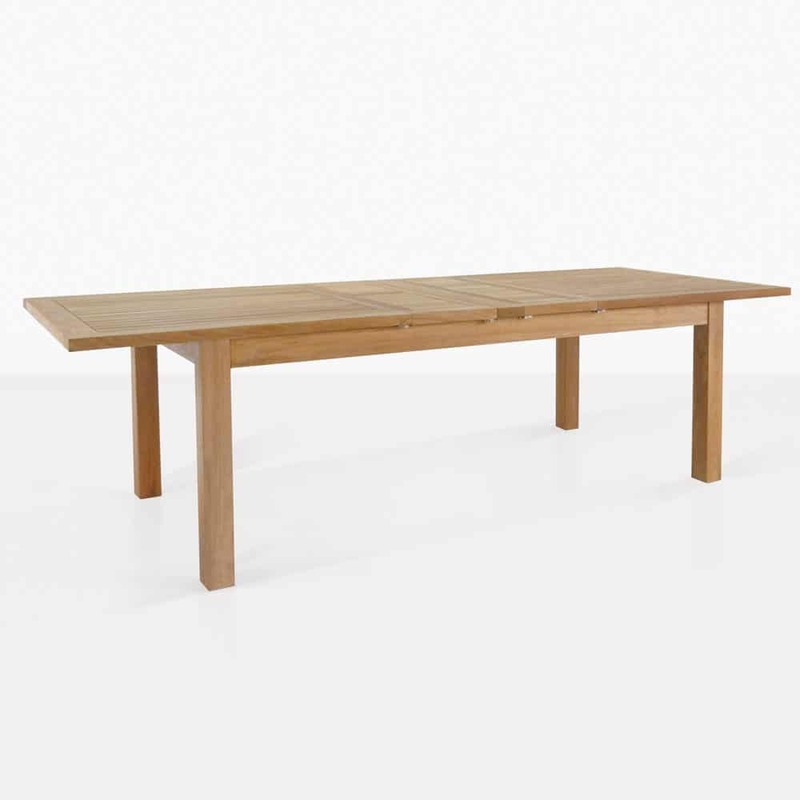 The extension table is 74″ long and extends to 118″. The Capri Double Extension Tables and 8 Kensington Chairs Set is perfect for seaside dining with up to 12 of your friends and family, imagine on a large patio fully extended for those big events like Fourth of July Luncheons or downsized for regular summer meals in the comfort of your outdoors! 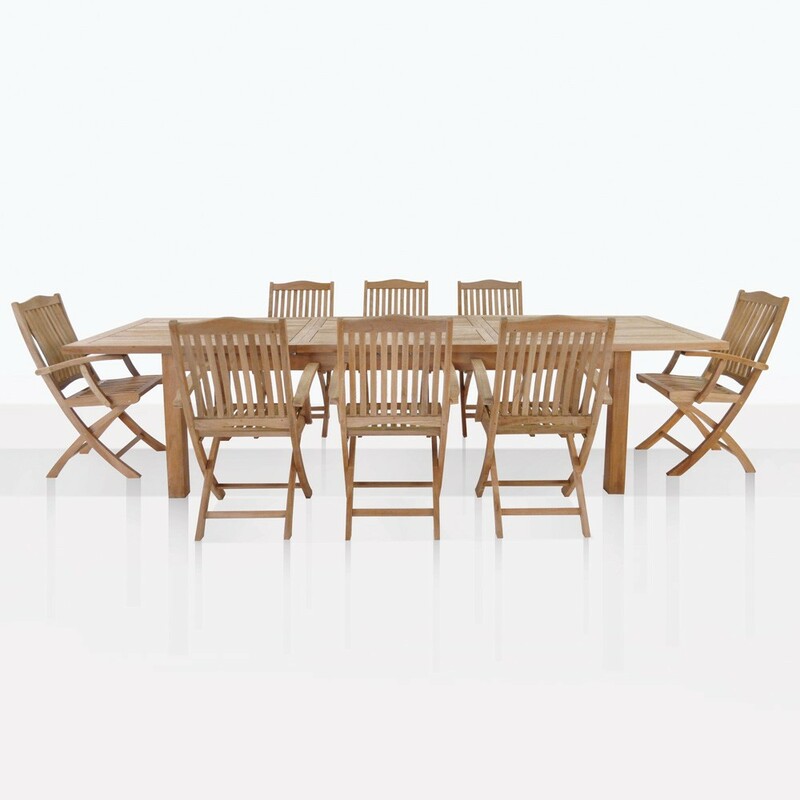 The Capri Double Extension Tables and 8 Kensington Chairs Set features our ever-popular Capri Rectangle Teak Double Extension Table and 8 Kensington Arm Chairs. The Table is impressive, featuring a solid, classic design not out of place in the Hamptons! 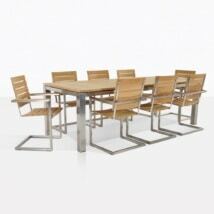 Not only does it allow for 3 dining sizes but it also has a non-movable piece in the center with an umbrella hole! This Capri Table extends from a home size 74” to 96” to a grand 118” – not sure about the size? 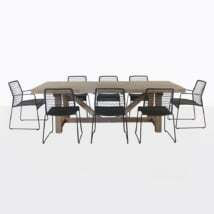 We have 6 options for this fantastic table so you may customize your set to suit your space! 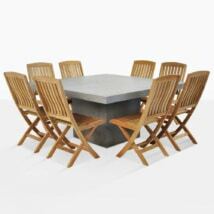 If that weren’t enough, we also carry the Capri Table in Oval! 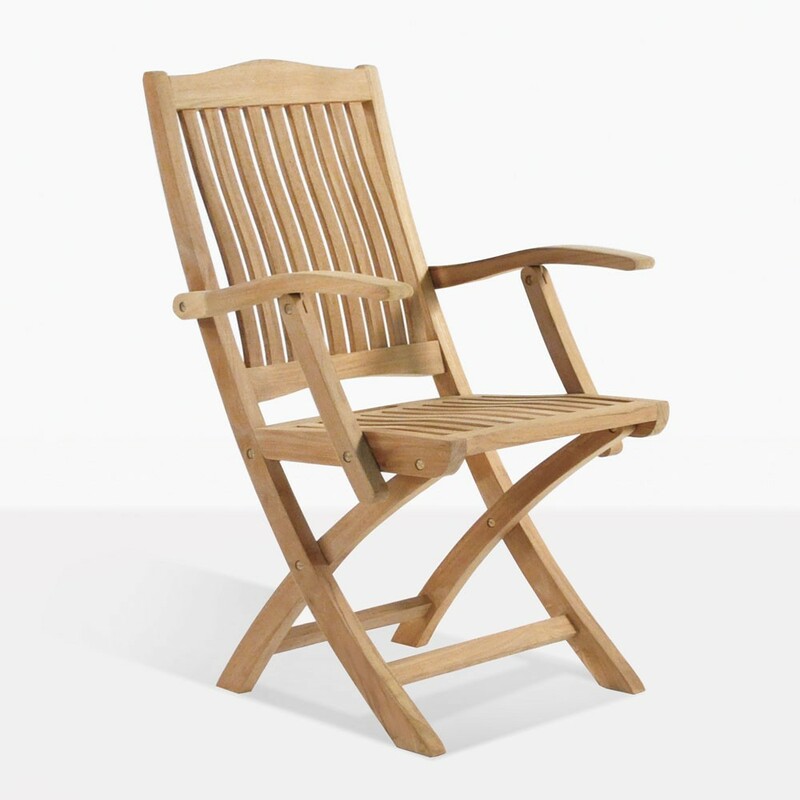 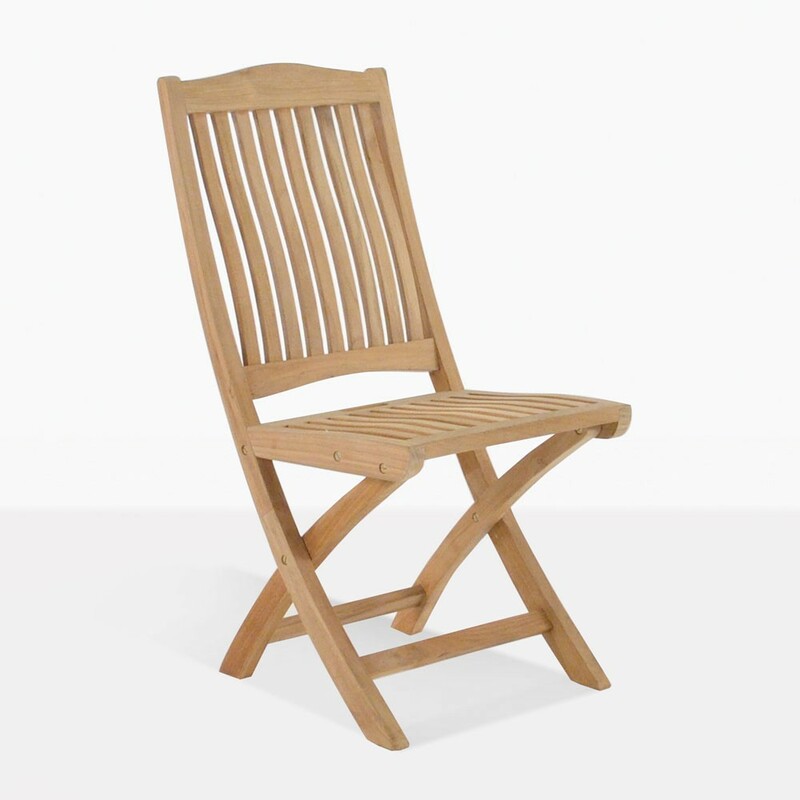 The Kensington Arm Chairs have long been a popular item at Teak Warehouse, designed to mimic country style furniture from the turn of the century with clean, classic lines and master craftsmanship, you will be thrilled with this flexible and convenient chair! Also available as a side chair without arms, both versions of the Kensington fold up neatly for easy storage. 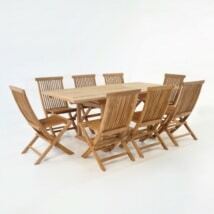 The Capri Double Extension Tables and 8 Kensington Chairs Set is an ideal set for the family who love to host!